Villareal says her children went home to rest. When their dad began coding overnight they decided to drive back to the hospital but never made it. EMERYVILLE, Calif. (KGO) -- We're hearing from the family at the center of a tragic collision. 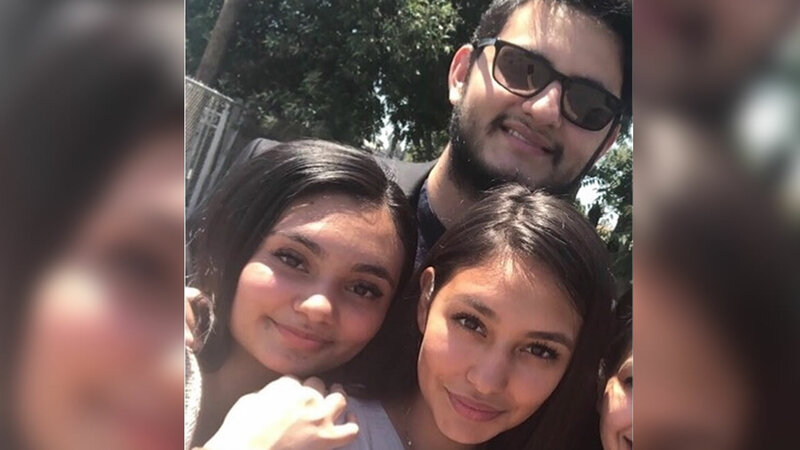 Early Thursday morning, three siblings were killed when their car collided with a big rig illegally parked on the shoulder of westbound I-80. A fourth sibling is fighting for his life. His mother and brother spoke only to ABC 7 News reporter Melanie Woodrow. Siblings Eli, Sarah and Eva Villareal spent their last day at their father's bedside. He's hospitalized with stage four colon cancer. "We were getting ready to mourn my husband, to grieve my husband, they were there that very last day-- they hugged me and they kissed me they were trying not to say goodbye to my husband but I didn't know what they were actually doing. We were saying goodbye to each other," said mom Yanira Villareal. Eli, Sarah and Eva Villareal are pictured in this family photo. The California Highway Patrol says slick roads and speed may have caused their car to swerve. It collided with the back of a big rig parked illegally on the shoulder of I-80 Westbound. Brother Dan drove to the scene where his sibling's phone was pinging. A CHP Officer was there. "He said three of the passengers didn't make it and one of them is critically injured and is fighting for his life in the hospital," said Dan Villareal. The CHP says the driver had pulled over to sleep. Officer cited the driver who was not injured. "That truck was in the wrong place-- it was in the wrong place," said Yanira. Rogue Transportation LLC out of Oregon owns the big rig. The company said they have no comment and asked ABC7 News to contact their attorney in San Francisco. He has not responded to us. "Maybe it would have been a different story, maybe I would've had my siblings or at least some of them still. I don't know only God knows, but we want answers I want an answer-- I want to know why," said Dan. Meantime, sibling Aaron is fighting for his life at Highland hospital. He was the only one in the car that survived the crash. He's been in and out of surgery. His lungs collapsed and he has a broken leg. His father remains hospitalized in San Francisco. "He doesn't know anything, Aaron doesn't know anything either. We don't want them to know anything," said Yanira.